As millions of baby boomers reach their golden years, they’re changing the world yet again, this time by driving a booming market in senior-friendly aging-in-place technologies. From simple wearable devices to high-tech monitoring systems, the list of gadgets designed to help aging boomers stay independent is extensive and growing. 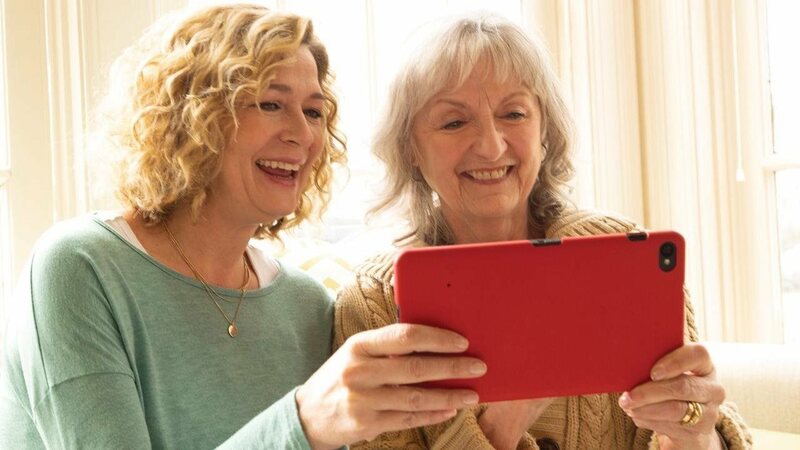 Home-based technology tools are a great way to deliver peace of mind to caregivers and family members who want to help an aging parent or grandparent stay safe in their home, and to combat the debilitating isolation that often accompanies growing older. Here’s a look at a few of the innovative technologies that are revolutionizing aging, and the benefits they provide. It’s easy nowadays to take using smartphones or other digital technology for granted. But for many seniors, it has never been an integral part of their lives, meaning they can be left out of the family communications loop. Filling that gap are products like GrandPad, powered by Consumer Cellular. It’s a touchscreen-based tablet with simplified apps that let older users easily make voice or video calls, send and receive email, share photos, stream music and enjoy other recreational activities such as digital games. GrandPad also offers comprehensive security, operating on a closed private network to guard against online scams, and can be managed by a designated family administrator for added personalization and protection. Plus, it’s offered by Consumer Cellular, a provider with a long history of serving the senior market. Wearable devices that monitor and track health are becoming more popular among all ages. However, for seniors, especially those without a caretaker in the home, they can be lifesaving. With just the press of a button, help can be summoned for a wide range of emergency situations. The most valuable types of these personal emergency response devices include accurate fall detection; falls are a leading cause of death for adults age 65 and older. Devices can automatically alert 911 or a close family member the moment a fall has been detected. This is especially valuable for aging-in-place situations where stairs are present. As their mobility declines, it may become more difficult for seniors to make it to the doctor’s office. In response, many providers now offer video consultation for those who cannot come in for an appointment. This technology is ideal for those suffering from minor ailments that do not necessarily require an in-person visit. In addition, for many seniors, medication regimens can become difficult to follow, and the misuse of prescribed medications can lead to negative health consequences. One technology on the rise, especially for those without assistance in the home, is the automated pill counter designed to alert and properly dispense all medications that need to be taken. Placing activity sensors throughout the house is becoming a more and more popular way to monitor loved ones who are living unassisted. Sensors can be placed in multiple discreet locations, like doors, cabinets, windows or beds to track movement around the house and report back to a caretaker or family member. If the sensors haven’t tracked movement in an expected amount of time, alerts can be set up to ensure a designated family member, caretaker or friend is notified to check in on the senior. Tracking and monitoring systems run the gamut from units that are integrated with a full in-home security system, to simple free-standing versions that are less costly and more mobile, but may also be less sensitive.